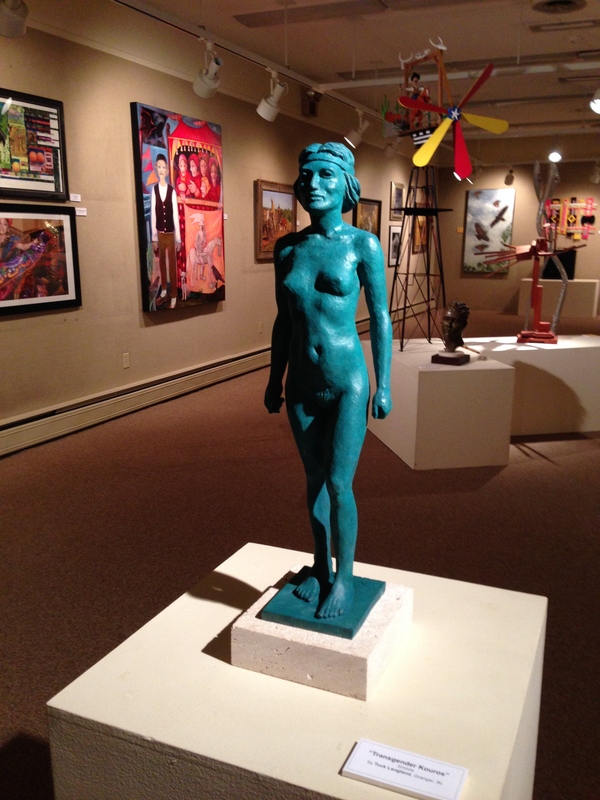 The Midwest Museum of American Art in Elkhart, Indiana is currently holding its annual show, the 37th ELKHART JURIED REGIONAL 2015, from October 9 to December 6, 2015. As a lifetime student of art history, Tuck frequently recreates, improves on, or takes off on classical sculptures. His newest “classical” Greek sculpture, Transgender Kouros, is in the show. 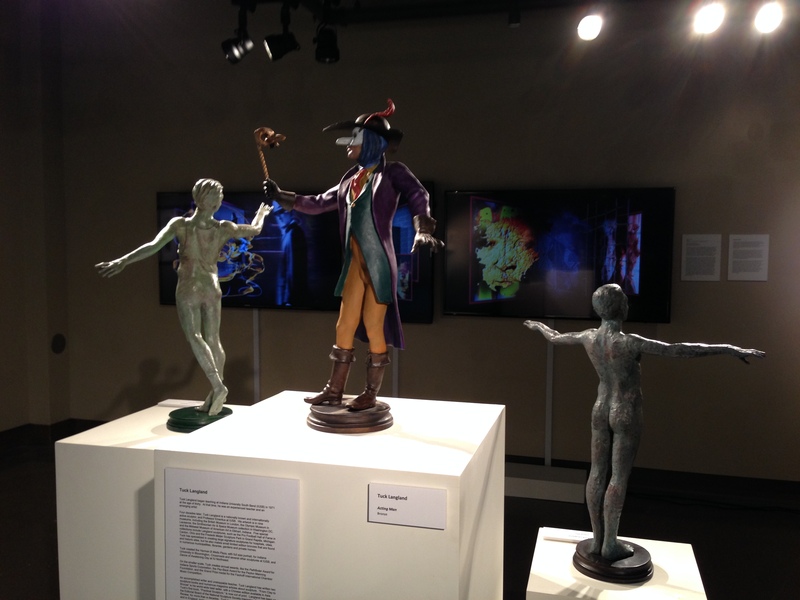 “PERFORMANCE IN SCULPTURE” exhibition is at the Straz Center for Performing Arts in Tampa, Florida. This two-year show runs from September 21, 2015 to June 2017. Included is Tuck Langland’s Acting Man, a bronze with a colorful “paintina.” Tuck coined the word paintina, combining the usual patina and the word paint, because extremely thin solutions of oil paint and water are applied, hot, on top of the primary patina. He builds up the colors. They are not painted on. Acting Man is from Tuck’s Performing Arts Triptych, which includes Singing Man, Dancing Man, and Acting Man. Singing Man had been in a previous show at the Straz.